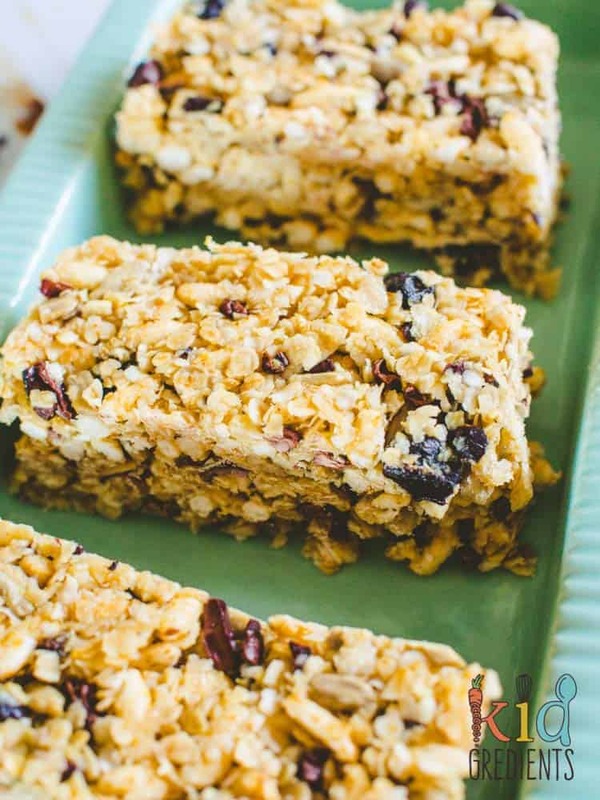 Muesli bars are so easy to make and are easy to change to fill with the things your kids love. I’ve got a few recipes for them on the blog…but I think these blueberry and cacao nib no bake muesli bars are the best ones yet! Don’t you just love a good muesli bar? I bought some cacao nibs a while back and I have to admit, I’ve been a bit at a loss as to how to use them. Then a friend mentioned she uses them just like chocolate chips, and I got excited! 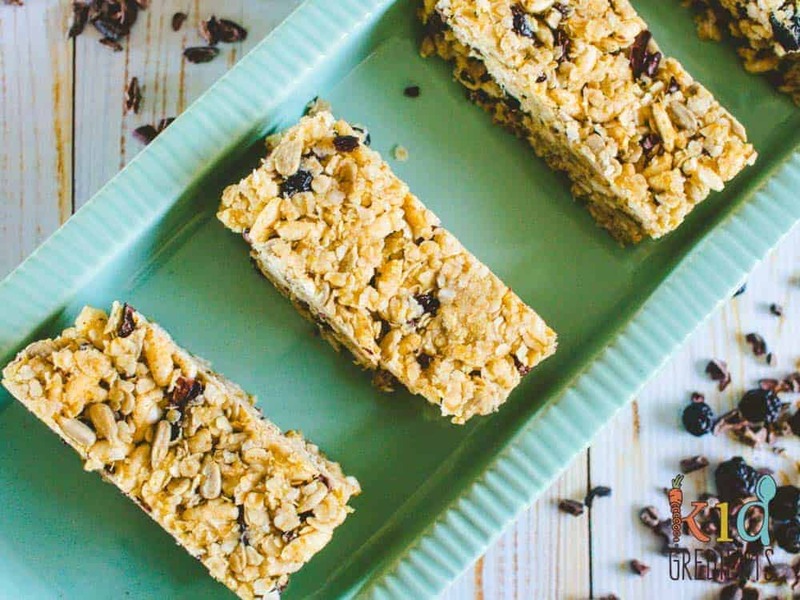 So these muesli bars are made to use cacao nibs…but if you want to, feel free to swap them for mini choc chips! Dried blueberries have been a bit of a revelation around here, unlike sultanas, they aren’t that small, so you don’t find that you eat heaps more than you would if they weren’t dried. I find with sultanas you need to give the kids a good handful of them before they are satisfied, but then I think about how many grapes that is…and I would never give them that many grapes in one sitting. 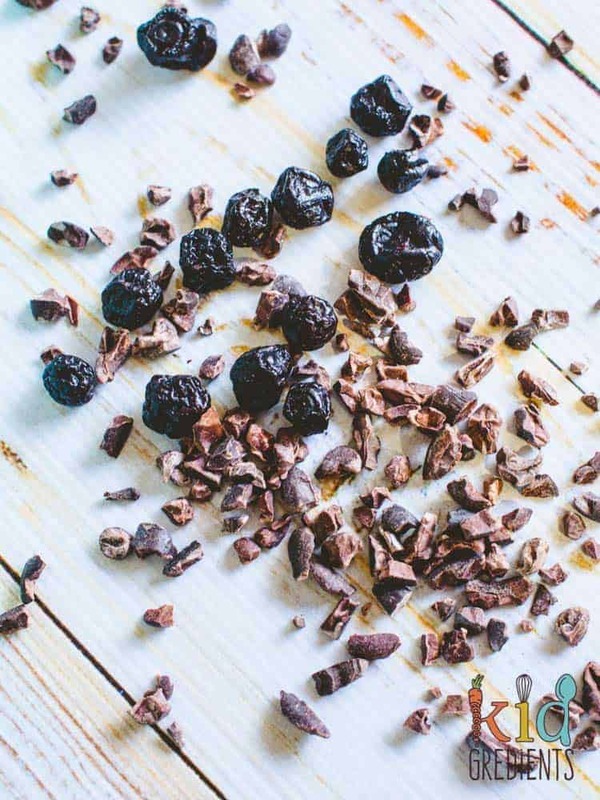 Cacao nibs give so much flavour! These muesli bars basically follow the same formula that my others do, you don’t want them too wet or they will crumble and you don’t want them too dry or they won’t stick. It’s hard to get the perfect balance, and these are best kept in the fridge or frozen if they won’t be eaten within a week. They can go directly from the freezer to the lunchbox. Of course, muesli bars aren’t the healthiest of lunchbox items, but they are yummy and these ones are better than storebought alternatives! The other flavours on the blog are: white choc cranberry and chocolate chip. Miss 6 absolutely loves these and I’m working on Master 4 as this week…blueberries are on the no-eat list. 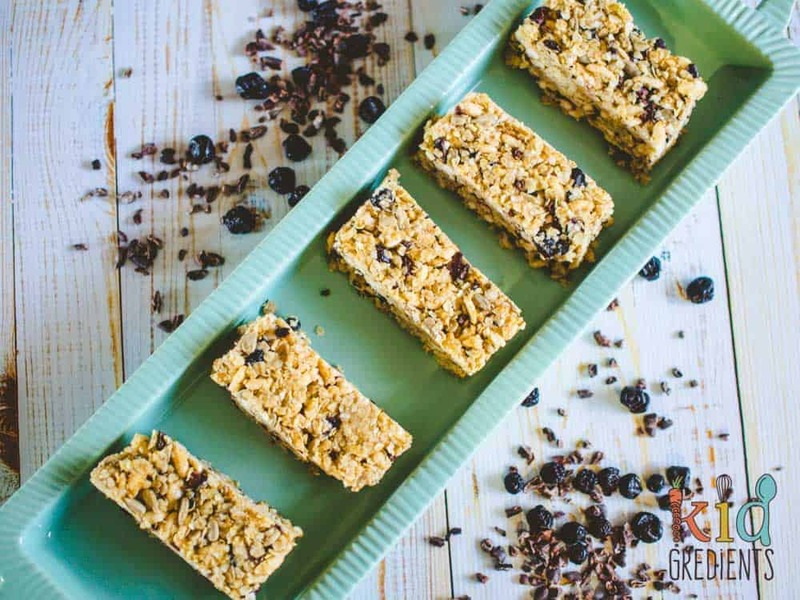 Freezable and super yummy, these blueberry and cacao nib no bake muesli bars are fantastic for the lunchbox! Perfect snack for afternoon or morning tea too. In a medium saucepan or a large microwave bowl, combine the coconut oil and the honey and heat with medium heat until bubbling. Press into a 22cm square silicone baking dish. Refrigerate until set- at least 4 hours. These look AMAZING!!! Just what I’ve been looking for! Yum! 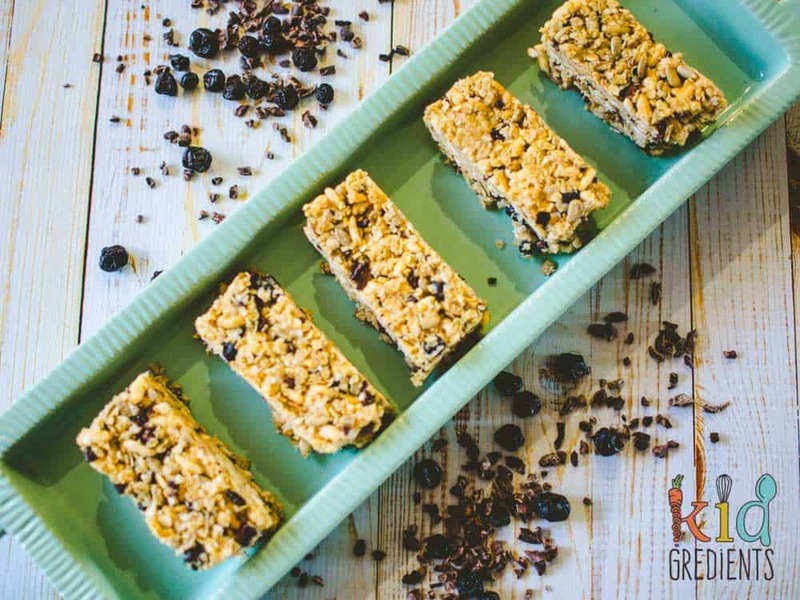 We love making homemade bars and this is a great combo! My kids will love these. 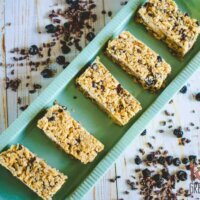 It’s my favourite combo yet of muesli bars! These look awesome!! I completely forgot the existence of muesli bars after I couldn’t find any with recyclable packaging. Makes me wonder how many things like this I could’ve been making myself. Thanks for sharing this!